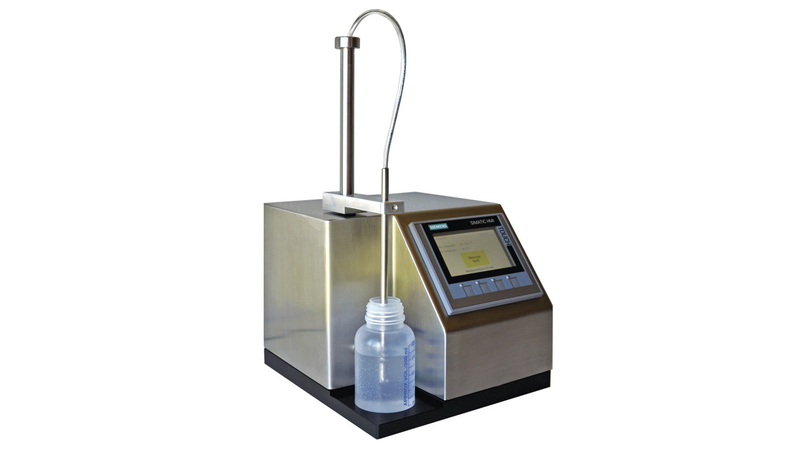 RTG Cleantec continues to stir up the market with their newly developed surfactant analyzer TENSIOTEST T90, which facilitates the use of a functional and user-friendly measuring system during production. T90 enables you to determine the current cleaning efficiency of the bath. The TENSIOTEST T90 determines the amount of the free surfactants in the cleaning medium by measuring the dynamic, volumetric surface tension. To do that, air is injected into the cleaning compound in order to evaluate the surface tension. This solidly built device does not need any auxiliary supplies and accessories. We ensure the long service life of the device by using stainless steel and PTFE for all the components that come into contact with the cleaning material. The user will have to initially calibrate the surfactant that is used in order to determine the cleaning efficiency. The TENSIOTEST T90 storage is currently able to store up to 10 different calibration curves. The operator of the device can calibrate it unaided and without additional costs in 90 seconds or less. After that, the T90 can carry out measurements. To achieve that, the probe has to be immersed into the cleaning medium. The measurement starts automatically within the temperature range set in advance via the integrated IR thermal sensor. The result will be displayed in % within approximately 90 seconds. You can also integrate it in an existing cleaning process (online system). To do that, you can make a bypass with the measuring probe from the pump to the stainless steel container, and activate the measuring process from the control panel. That way, you can have the results continuously fed into the system, and keep the surfactant concentration steady via a dosing pump.